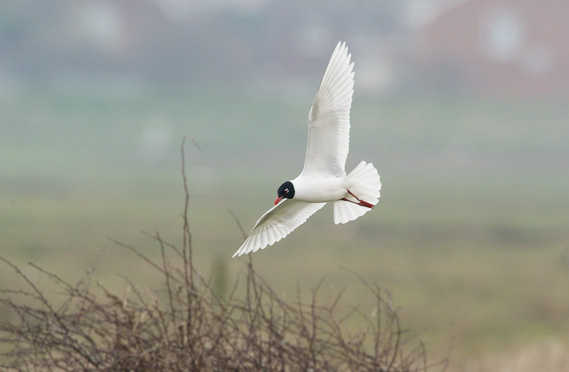 The changing landscape of bird populations within Britain makes for interesting reading and Marshside, close to Southport, has seen some very interesting trends over the twenty or so years its been in the care of the RSPB. The avocets, which now breed in good numbers, would have been a rarity here in the late eighties and early nineties but now Marshside boasts the best place to observe and photograph them at really close quarters. You can never tire of seeing such a classic and elegant bird, but its looks betray its character and I’ll look at this in the next post. 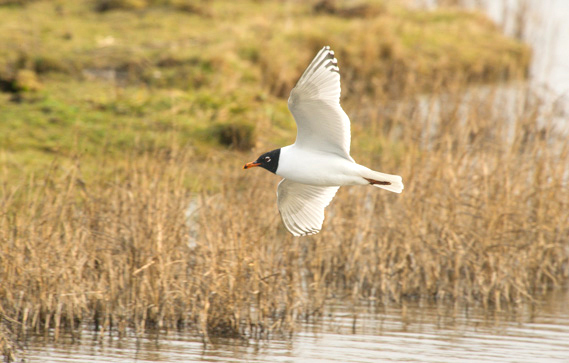 For now though a few images of a bird which is becoming ever more regular at such sites and has also shown a significant rise in the British population over the last forty or so years, the Mediterranean gull. 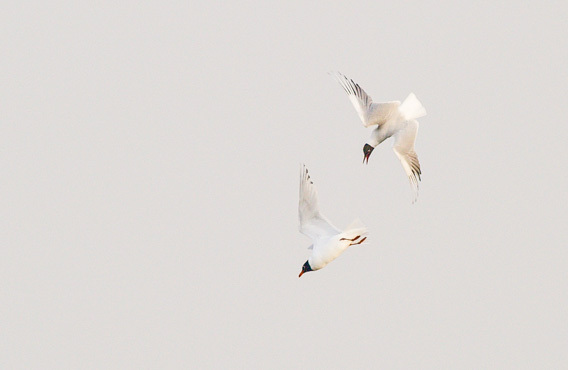 More commonly known as the Med Gull, it would have required a written report to the rarities committee back in the 60’s for the bird to have been accepted as a legitimate sighting. Now, however, it’s becoming something of a regular winter visitor and summer breeder. The current breeding population stands at something in the region of 600, mainly in the south but gradually shifting northward. It’s strong hold as a breeding species remains, as its name implies, around the Mediterranean Sea, the coastal areas of Greece, Turkey and the Russian shore of the Black Sea. It first bred in Britain in 1968 on an island off Needs Oar Point in Hampshire, but it took a while for it to become an established breeder with only sixteen pairs being recorded as late as 1988. Since then though, they have increased at a faster rate and their range is pushing northward all the time. 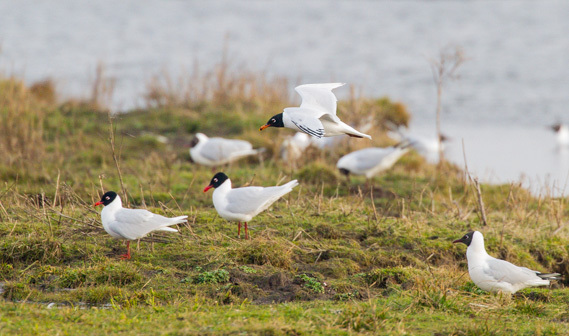 They tend to spend their time in the company of smaller gulls and at Marshside there is a colony of around 300 black-headed gulls. 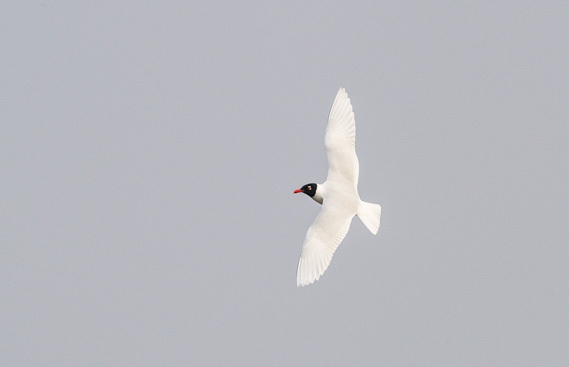 Whilst they have been known to interbreed, there appeared to be no love lost between then here, with the black-heads often setting them up and mobbing them. But what a smart bird. 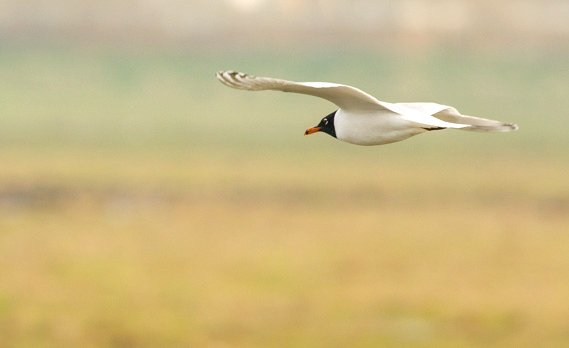 The black head is more like a hood rather than a face mask as in the black-headed gull and the hood is black rather than the chocolate brown of its smaller cousin. It appeared that two of the three birds were in full adult summer plumage and the third a second summer bird still showing some black on the primaries. 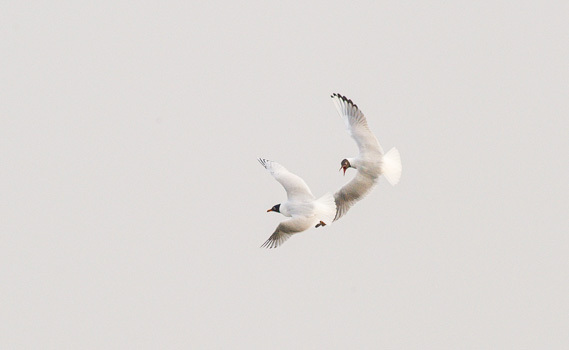 The three birds at Marshside were showing signs of breeding behaviour, so It would be of little surprise if in the next few years they began to establish themselves here. Med gulls and avocets, never in my wildest dreams as a teenager back in the 70’s, and who knows perhaps some of the over summering black-tailed godwits may join them soon.